Carl is highly experienced in a number of industries, with construction being his specialist area. 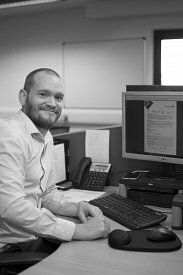 With the advent of the CDM 2015 Regulations, Carl carries out the CDM Adviser role for construction projects varying from small works to multi-million pound budgets. Carl also gives training on the CDM Regulations to those needing awareness training, and those holding specific roles within CDM 2015 such as designers and principal designers. 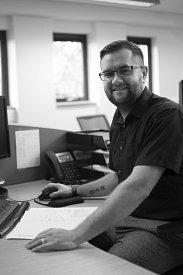 Carl continues to hone the systems we have along with the other consultants, ensuring the simple and effective systems our clients appreciate are constantly evolving and improving. 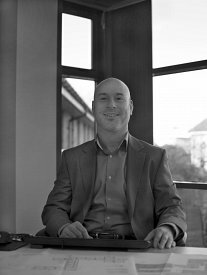 Chris joined Emprocom in 2016, coming from a safety management role in the offshore oil drilling industry. Chris has a medical background and it was whilst in his role as a medic on offshore installations that he decided that, rather than treating the injuries often caused as a result of poor Health & Safety, he would focus his attention on prevention and he became the rig’s Safety Officer where he contributed to their two-year incident free record. Chris’ varied background is already proving invaluable to Emprocom clients. Originally trained as a joiner working in both marine boat building and construction sites, Ben brings great practical knowledge to the application of his CDM duties and safety consultancy alike. Ben specialises in construction safety consultancy alongside acting as a CDM consultant working on a variety of projects from residential housing to multi million pound commercial projects for our broad range of clients. 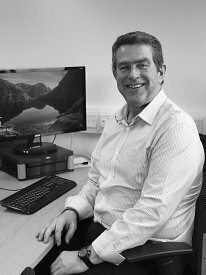 Ross is a chartered safety practitioner and brings with him lots of experience working in the arboriculture and education sectors. An experienced fire risk assessor, Ross also presents various training courses including fire marshall, manual handling, work at heights, first aid and many more. Ross is an observer for the Institute of Advanced Motorists for both cars and motorcycles, enabling him to provide a greater knowledge into occupational road risks which many of our clients are presented with. Daryll is a Health and Safety Consultant and joined Emprocom in October 2018. Daryll’s previous career includes working as a qualified Social Worker for various organisations. He has a good eye for finding practical solutions to safety issues, and is extremely determined to support clients in improving health and safety performance and implementing a strong safety management system. He has gained valuable experience in the past working for a local building contractor as well as a large manufacturing company and brings valuable practical and working knowledge of health and safety in a variety of sectors. Paige has come with a wealth of knowledge and experience of CDM and Construction Health and Safety, having previously worked as a CDM Consultant and as an internal Health and Safety Adviser for a Group of construction companies. Paige has experience working for a variety of public sector clients including the Ministry of Defence, NHS Trusts and a number of Local Authorities, from reactive maintenance to larger refurbishment and new build projects. 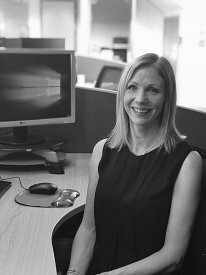 Paige provides advice on CDM and Construction Health and Safety to wide range of clients on a wide variety of projects, and also supports principal designers on their duties under CDM 2015. Hayley joined the Emprocom team in 2017, joining the team as a Business Development Manager. We strongly feel that our existing customers are our priority, so Hayley spends her time ensuring that we keep in touch with our clients and understand their needs as demands on all businesses change. Hayley also attends various events in promoting Emprocom and also raising awareness of health and safety in the workplace to all industries. Sharon has brought very valuable customer service experience to the team and plays an important role in supporting our team in administration. 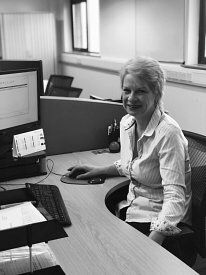 Sharon arranges and manages all our safety training courses and supports our clients and consultants in their day to day needs. 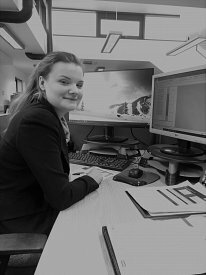 Chelsea joined Emprocom in January 2019 to undertake an apprenticeship as an Office Administrator. Chelsea provides a supportive role to our clients and consultants, including organising and compiling project Health & Safety files for all CDM projects. Chelsea works with clients and contractors ensuring the project health & safety files have a comprehensive content in a user friendly format for future use.